Samsung has hired Tim Gudgel, a senior Apple Retail Store designer and five-year veteran of the company, reports The Information. Gudgel, who has worked for Apple since March of 2008 according to his LinkedIn page, previously worked for Novartis, and as an architect at Gehry Partners. Earlier this year, Samsung hired another former Apple Retail executive who had previously been hired away by Microsoft for its retail efforts. Earlier this year, Samsung and Best Buy announced that the electronics maker would open 1,400 store-within-a-store concepts at Best Buy locations across the country. Apple has a number of similar dedicated "Apple Shops" inside Best Buy locations. The Information suggests that the hire is part of a continued retail push by Samsung. The New York Times looked at the efforts of technology companies like Samsung, Microsoft and Google as they attempt to build up their own retail efforts. The South Korean company's U.S. telecom unit recently hired a senior Apple store designer, Tim Gudgel, as it ponders a deeper investment in U.S. retail, according to two people close to the company. Mr. Gudgel specializes in store design and planning. 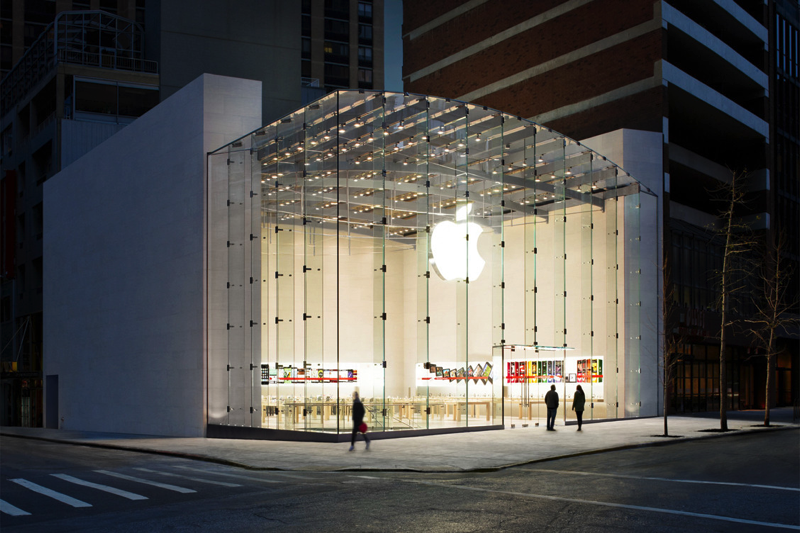 Gudgel is mentioned in a patent application as one of the inventors of the glass design of the Upper West Side Apple Store in New York City. For comparison, Apple has more than 400 retail stores worldwide, with more than 250 located inside the United States. Microsoft currently operates 81 stores, including 31 temporary locations, though the company has not found significant success with its retail efforts. Samsung's hardware products are significantly more popular than the Windows-based devices that Microsoft sells at its stores, and the company could see more foot traffic and sales as a result. Currently, the vast majority of Samsung's U.S. smartphone sales occur at the thousands of cellular carrier stores across the U.S.